Specific grants help the Tubman Museum’s Education Department maintain and present top notch programs. 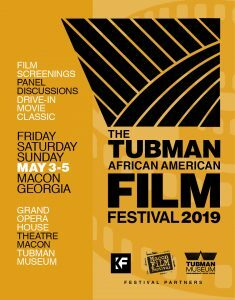 The Tubman African American Museum in downtown Macon is the only museum in the state of Georgia to receive a Georgia Council for the Arts (GCA) partner grant, and one of eleven Georgia organizations to receive an arts education bonus award. The partner grant is in the amount of $10,000, while the bonus award is $8,640. According to the Georgia Council for the Arts, the Tubman Museum was selected based on their strong educational partners, targeted outreach programs, and scope of services. In addition, the museum’s uniqueness to the region, the quality of after-school programs and the qualifications of the outreach teachers/artists have made the Tubman a leader in arts education for the state of Georgia. “The extraordinary quality of work done by the organizations has a meaningful impact at both a state and local level,” said GCA director Karen Paty. Other grant recipients include theaters, dance companies, literary organizations, libraries, cities, schools, colleges and multi-discipline art entities.